Do you like museums? No, we are not talking about those old, stuffy halls of old pottery that smell like mildew. We are talking about some of the most amazing museums in the country. Some of these museums are truly fascinating, and if you ever get a chance, it is highly recommended that you visit them, at least once. One of our favorites is number 4, but all of these museums are definitely a treat. Whether you are looking for the spooky and creepy to the magical and whimsical, there is something on this list for everyone. So, take a seat and prepare to be amazed by these mind-blowing museums in America that you will never believe exist. 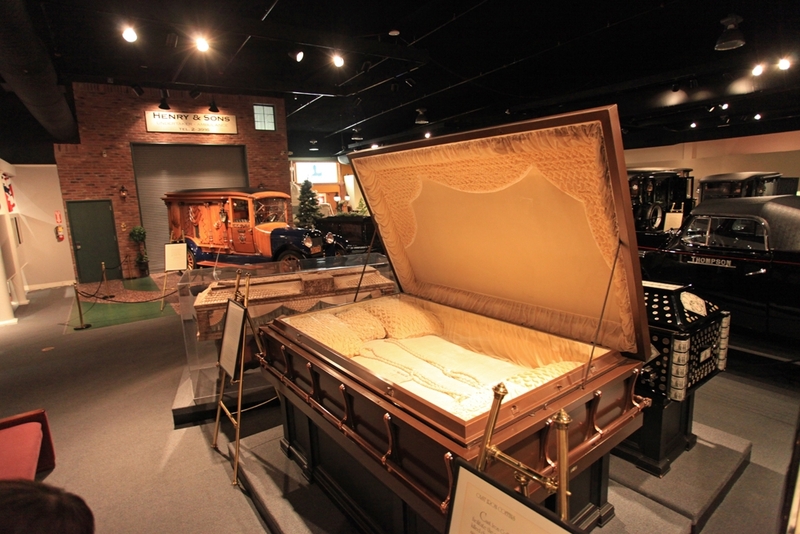 Located in Houston, TX, the National Museum of Funeral History is a one of a kind place that is perfect for those who have a desire to learn more about the commemoration of death. Inside it’s hallowed halls, you will find eerie exhibits including the history of embalming and Japanese funerals. There are also special exhibits that change often. Creepy, right? Even if you find death a little scary, the aim of the National Museum of Funeral History shows that any day you are above the ground is a good one, which is one of their favorite sayings. If you come here, don’t forget to check out the casket that was made for three people. It’s truly amazing!